Years ago, I wanted to give a small garden an interesting feature. An idea formed when I spotted an arching branch from a vine maple in need of pruning. After cutting it down and planting the branch, it made a low arch and framed the small garden. At the base of each end of the arch, I planted Clematis 'Ramona'. Both vines crawled up the arch, in the first year, and covered it halfway. Happy with the result, I looked forward to many seasons of these lavender flowering vines. The subsequent year the vines met in the middle, crawled over each other and covered the arch in flowers. It was a wonderful focal point for the small garden. However, by the third year, the two original vines completely covered the low arch, and tried to take over the small garden. A year later, I moved the vines to a substantial arbor to grow on. It was a start of my passion for clematis that grew as quickly as the vine. Our maritime climate is well suited for growing clematis. With proper pruning and a little attention to their few requirements, almost anyone can grow them here in the Pacific Northwest. It's long been said that Clematis prefers their feet in the shade and their tops in the sun. This is a myth. However, it is important to build up soil with organic amendments to retain moisture since the vine prefers a moist soil. A monthly feeding of liquid fertilizer or a complete organic fertilizer gives the vine the boost it needs for good growth and strength to flower. A one-time application of a slow-release organic fertilizer provides nutrients over a six-month period. You may prefer the latter for its “apply once and forget it” application. Many gardeners starting out with clematis become discouraged with it. The first few years, it is slow in top growth, while it establishes its root system. In its first year after it is planted, it may not produce flowers at all. By the second year, there will be more growth and perhaps a few flowers. The third year rewards your patience with substantial growth and vast amounts of blossoms. I recommend buying clematis growing in a gallon container. Expect to pay more, but it's worth the investment for the many years it will add beauty to your garden. A start in a four-inch pot will be harder to establish, even though it is less expensive to buy. If you buy small starts in the spring, it is best to transplant to a larger pot with good potting soil, letting it continue to establish a good root system. Keep the pot shaded and do not let the soil dry out. A good feeding once a month with fertilizer will give it a good start. Plant out in the garden when fall rains return, and mulch well. It will continue over winter to develop its root system. Buying clematis in one-gallon containers in spring or autumn, will yield a better chance of success.. Many clematis vines grow well in shade. Since the vines adapted to shady conditions in their natural habitat, they use their climbing capabilities to seek sunlight. Keep this in mind when selecting a site for your vine. Clematis happily climbs up into large shrubs and trees, or on a trellis. We can find many ways to utilize clematis in our gardens. A garage wall dressed up with vines integrates the wall into the garden. A shed that is an eyesore becomes a focal point when smothered in clematis and climbing roses. By selecting a spring flowering shrub and planting a summer flowering clematis to wind its way around and through the shrub, you will have two seasons of interest. Forsythia with its early spring flowers looks bland the rest of the growing season. Add a summer or fall blooming clematis to the fountain shaped shrub and watch bland transform to grand when the clematis covers it in flowers. Select a variety with growth that will not exceed the plant its climbing on; a twenty-foot vine would overwhelm a small shrub. 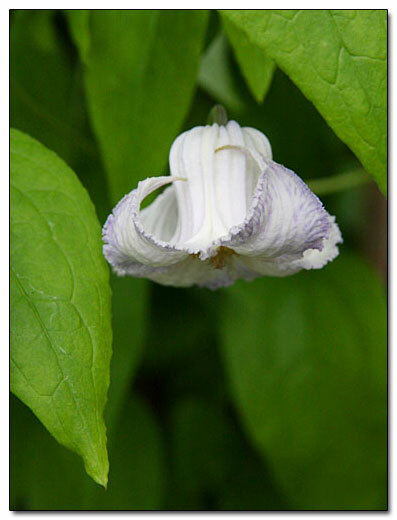 Clematis is divided into three distinctive groups. Knowing what group your vine falls under, will guide you on when and how to prune. This group is the early-flowering species that produces flowers on the previous year's growth. Prune within a month after it is done blooming. This allows the vine to make new growth that produces next year's flowers. Prune out damaged or dead wood, or cut back overgrown shoots to keep it in bounds of the space allotted for it. This group includes the early, large-flowered cultivars. These are all large, single, semi-double or double blossoms. Flowers bloom on both previous year's growth and new growth. Two flower sessions from one vine! Prune before new growth begins around mid-February or first part of March. Pruning in the fall is another option. Prune out damaged or dead wood and lightly prune the portions of the vine that bloomed. This pruning keeps it in shape and keeps it from getting bare legs. This group is the late blooming species and cultivars. The flowering times are summer and fall, and all flowers are on the current season's growth. . Prune severely down to a leaf bud within one foot to eighteen inches above soil level, before new growth begins. In the maritime Pacific Northwest, this is usually mid-February to the first part of March. You may also prune in the fall. I prefer to cut it back in the fall when leaves are brown, to about three feet. I follow-up in spring with pruning the vine again to the above recommendations. Admittedly, I sometimes leave the vine on the arbor over winter, if my fall cleanup chores get behind. You can find many clematis species and cultivars in the Vines Plant Gallery and Growing Guide. 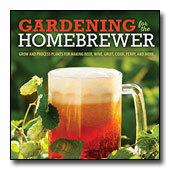 Gardening With Clematis: Design and Cultivation by Linda Beutler. The Gardener's Guide to Growing Clematis by Raymond J. Evison. An Illustrated Encyclopedia of Clematis by Mary Toomey and Everett Leeds.